Hooked on Needles: Crocheted Bright Squares Baby Blanket is complete! Crocheted Bright Squares Baby Blanket is complete! Here's one more project I can check off my things-to-do list! 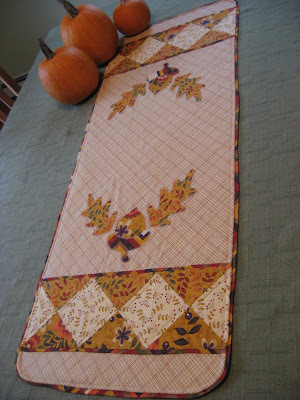 This one was fun and interesting because of all the color changes, and it was relatively quick because of the easy granny pattern that I used, right off the Lion Brand website. You can find it HERE if you like. 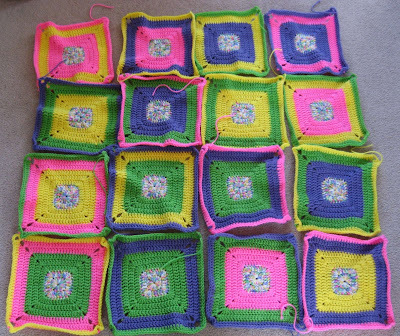 I used the pattern for the basic square, but changed up the arrangement of the colors and number of rounds of each color to accommodate my blanket. So what do you think of my Bright Squares Baby Blanket? 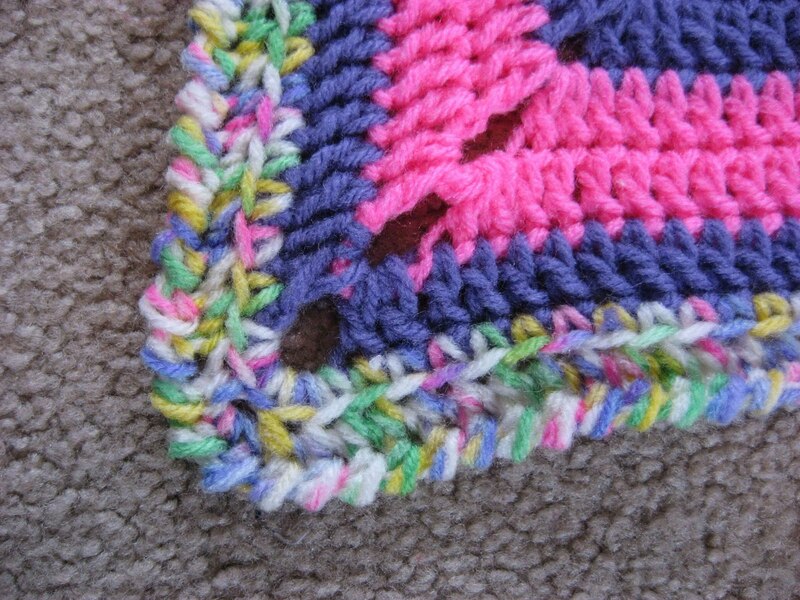 ...and then I crocheted them together using the same variegated yarn and THIS METHOD of chain piecing them together. It's really the only way to go! I used my very favorite reverse single crochet stitch for the border since the recipient of this blanket does not want anything too girly or frilly. And there it is! All bright and cheerful and ready to cuddle around some lucky little baby who has yet to be born! 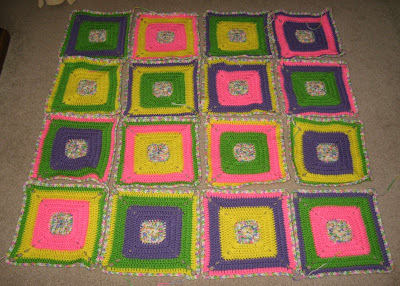 Editor's note: A few readers have asked what brand and colors of yarn I used in this blanket so here is that information: the yarn I used is Red Heart super saver and the color names are Bright Yellow, Pretty 'n Pink, Lavender, Spring Green and the variegated is called Sherbet Print. It turned out so cute! I really love the bright colors. Great job! Spectacular! Would you mind sharing the yarn brand and colors? Love this blanket - I also would like to know what yarn you used! 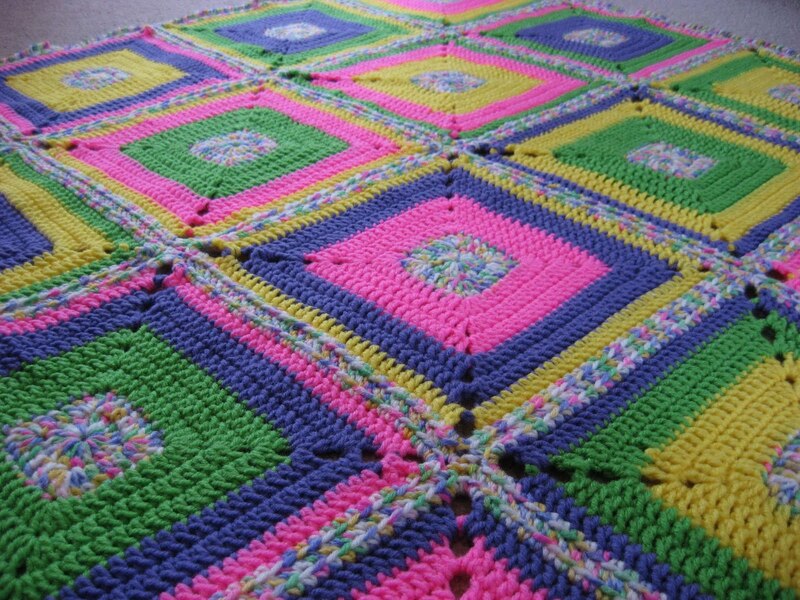 The bright colors really make this blanket. I know the recipient will be thrilled. Very pretty, Mary Grace...just love your colors! You did a GREAT job! Lucky Baby! This turned out super cute Mary Grace! The variegated tread is a winner. 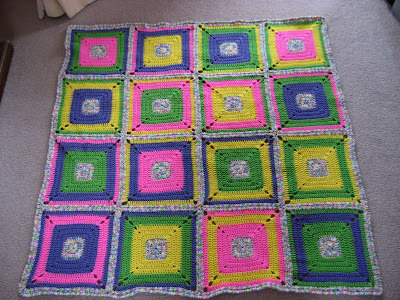 I really like those squares, and it finished up great! Love the fun bright colors! Gorgeous patterns you’ve got pictured here. 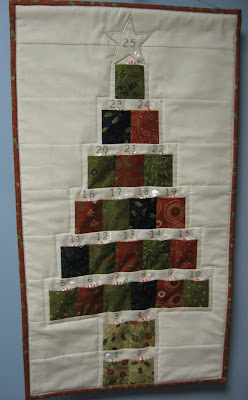 I’ve been a longtime quilter myself, and have thought about setting up my own blog to showcase my quilts. Keep it up, I’ll be dropping in from time to time to check out your new stuff.